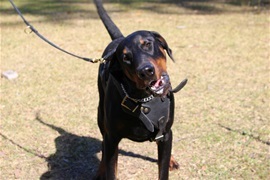 Ares is the son of Vondeckelman Zeus and Vondeckelman Mia, he is a very loving confident dog even at this young age. He is responding exceptionally well to his protection training with a Very Strong bite and powerful strength, he has already snapped the leather harness he has on in photos also cracking protective end in bite sleeve, also going thru the sleeve bruising my arm. He has already completed his basic obedience and will begin Man tracking soon, he wants to please and is a exceptional dog, we will be using Ares in our kennel for mating next year. 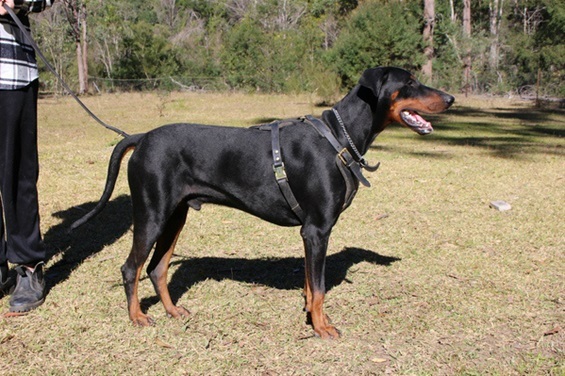 He is the product of years of selective breeding from our kennel, only breeding from the best Working Dogs that have been born, also using other champion European Working Lines to further inhance our breeding program.